· Yaya is the colloquial term for house maid or nurse maid. A more politically correct term is kasambahay. It literally translates to those who live with us at home. Just because we left our babies to our Kasambahay doesn’t mean we relinquish all responsibilities. If you find out from the law, if the dog bites somebody the person liable is the owner not the minder. It is the owner’s job to make sure the dog is behaved through education or proper classes. If you are a bit iffy on your pet’s behavior, better keep them in the house. Now, picture yourself so busy that you have no time to take pooch out to walk. You ask Yaya to take them for a walk. First and foremost, Yaya should be prepared and willing to take your dog out. Some yayas are scared of dogs. Before selecting our Kasambahay, we ask them if they like dogs. They even come to the house to see the dog before accepting the job. It is important for all to get along. 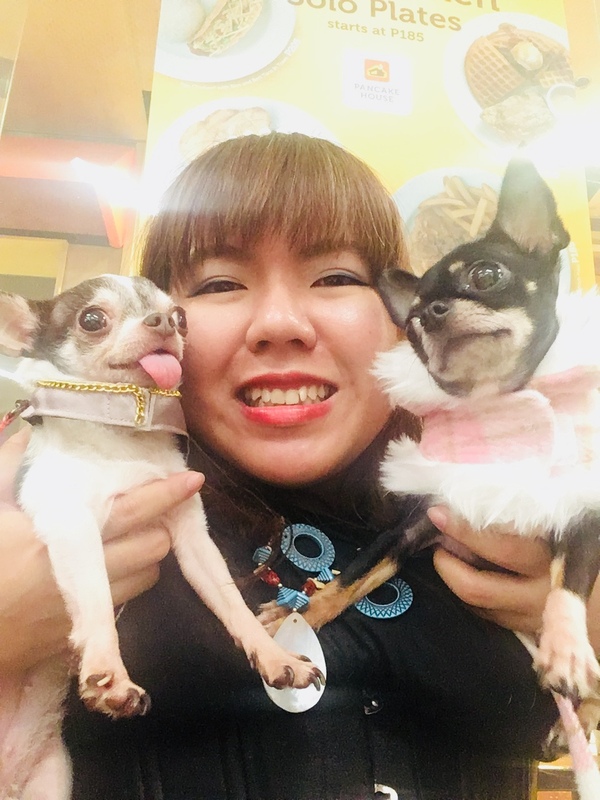 Now, yaya is happy to take your pooch to the park for you. Show her the proper commands. If you can, give her a test run with you. Sometimes, it is your dog who freaks out when there is a change of routine. A test run with yaya is in order. Next, prepare the things yaya will need. Your dogs need leash, water and poopie kit. Sometimes, I give yaya a treat to bribe pooch in case he turns belligerent. Don’t forget the poopie kit and enforce this on yaya. Most villages and park have fines for owners not cleaning up after them. Tell yaya to bring plastic and newspaper all the time. Lastly, enforce a time schedule on yaya. As harsh as it sounds, you must do this. At times, our yayas take a side trip to meet their friends in the village taking your babies with them. I had a yaya once and she took my baby for three hour walks. They leave at 2pm and come back five to half-past five. When my dog comes home, he runs under the table and sleeps in exhaustion. They didn’t do much walking but my yaya tended to talk a lot and flirt a lot. She can go sit with other yayas for hours leaving my baby to wait with her. The heat outside was getting to my dog. When I realized this, I asked them to just take an hour and no more. Now, make sure your yayas understand the why’s of petiquette. 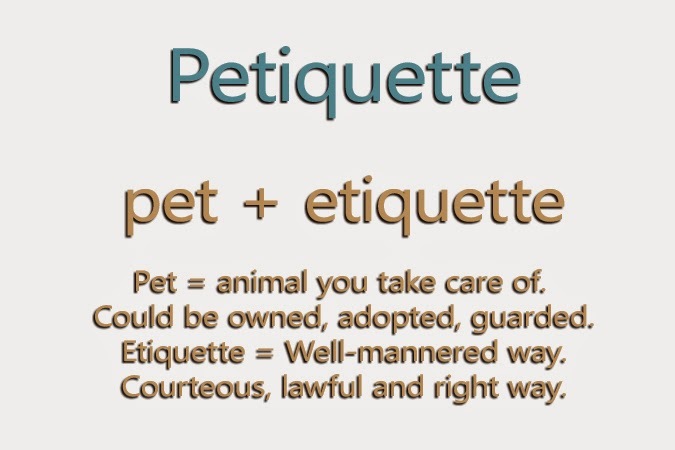 Petiquette may be for a good mannered pet owner but it also helps us avoid getting into trouble. That goes for your yayas as well. Forearm them with knowledge and you will be at ease when they go out for walks.